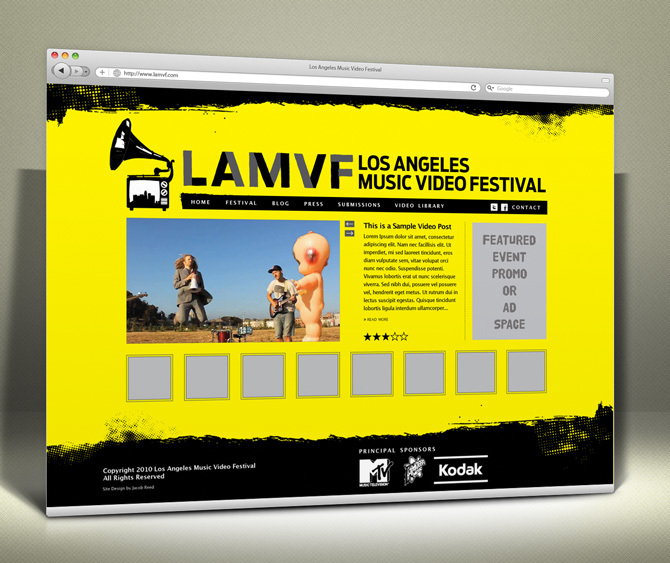 Web design and branding for Los Angeles Music Video Festival. When they were first starting out, the LAMVF was looking for a temporary website that could carry them through their first couple years of growth, and a logo that would give a lasting impression on their audience. While their website has changed dramatically since this initial design, the logo is instantly recognizable as the brand of the nation’s fastest growing music video festival.